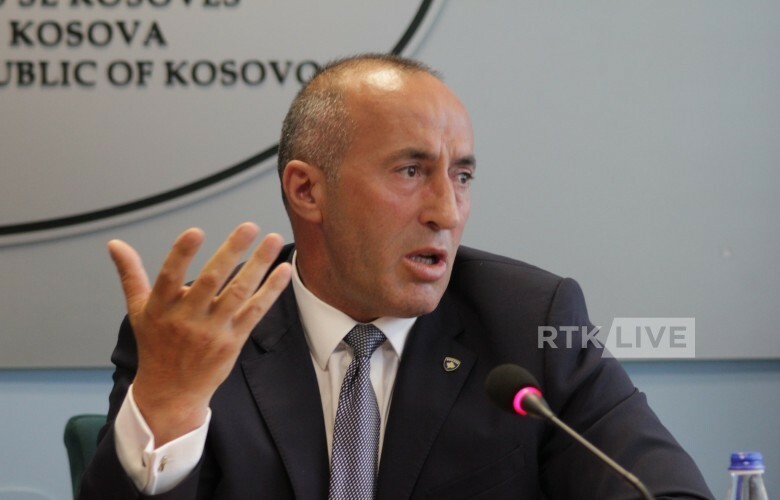 "Tax won`t be withdrawn without a final agreement with Serbia"
The Prime Minister of Kosovo Ramush Haradinaj reiterated that the 100 percent tax on Serbian goods will not be lifted without recognition of Kosovo by this neighboring country. During his visit at Privatisation Agency of Kosovo, Haradinaj said the tax is not related to the U.S. but to Serbia and Russia. “We will remove it today if there is an agreement for recognition, otherwise, not in February, but we might never lift it if Serbia is not ready to recognize us. This has nothing to do with America but Russia and Serbia,” he said. “We are in the border with Serbia and Russia. You will be able to see Serbia’s face tomorrow with Putin in Belgrade. And you know which our face is. Do not worry about this,” he said.